There has been a vast amount of books published about William and Kate since their wedding. However, this one is slightly different. 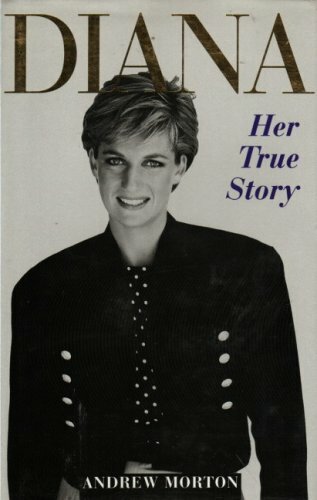 It is written by Andrew Morton, the British journalist turned royal biographer who shot to fame in 1992 after writing a biography of Princess Diana revealing the truth about her marriage to Prince Charles. The book was a sensation and caused uproar among the monarchy. He also published an unauthorized biography of Angelina Jolie making wild claims about her personal life. 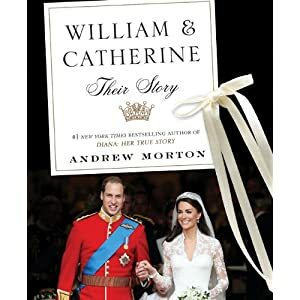 Morton has followed the story of William and Kate since their university days, but was surprised at how it unfolded throughout the years. 'The relationship was far more up and down, tears and tantrums. They split briefly in 2007 because he thought he could do better, but he realized what he really wanted was stability and steadiness. That's what she gave him'. The book is slightly more than 200 pages long. The cover photo was chosen 100 minutes after the royal wedding had finished. Publisher Michael O Mara has submitted an application to the Guinness World Records for fastest production of a book. 'We did it in seventy two hours, I think that's as fast as it could be done'. The book is now available at Amazon. Check Barnes and Noble coupon codes for this book, too!